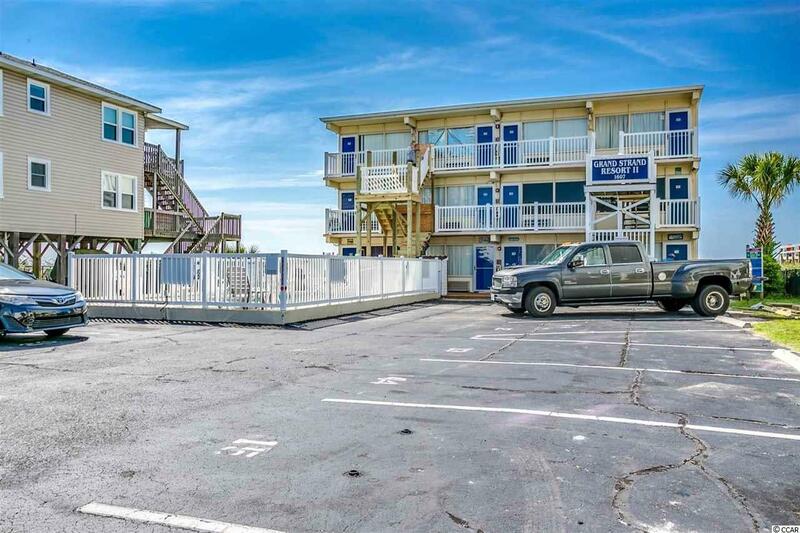 Amazing opportunity to purchase this second floor 1bd/1bth Direct Oceanfront Unit with gorgeous ocean views located in Grand Strand Resorts II of North Myrtle Beach. Low Rise Building and very low HOA Dues to be on the oceanfront. Interior features include tile & carpet flooring, stainless steel appliances, new kitchen cabinetry, flat screen tv's, washer/dryer, and extra interior storage cabinets. 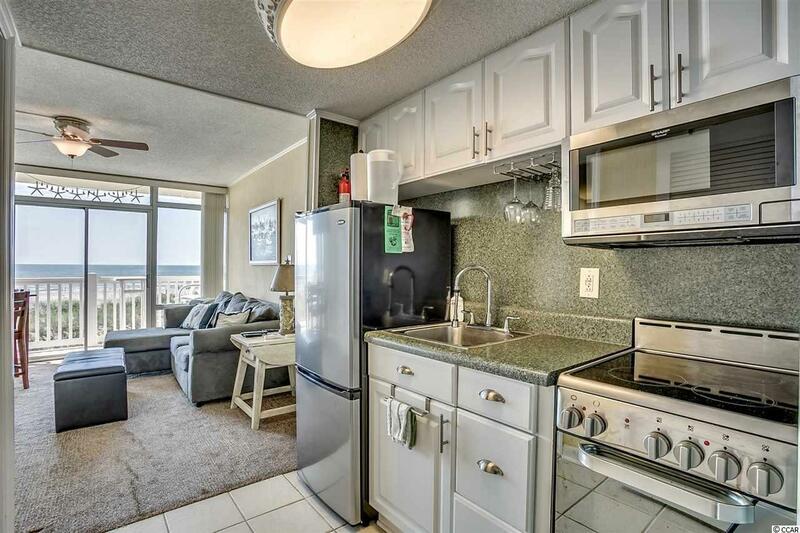 Exterior features include a private balcony to enjoy your morning coffee overlooking the ocean. 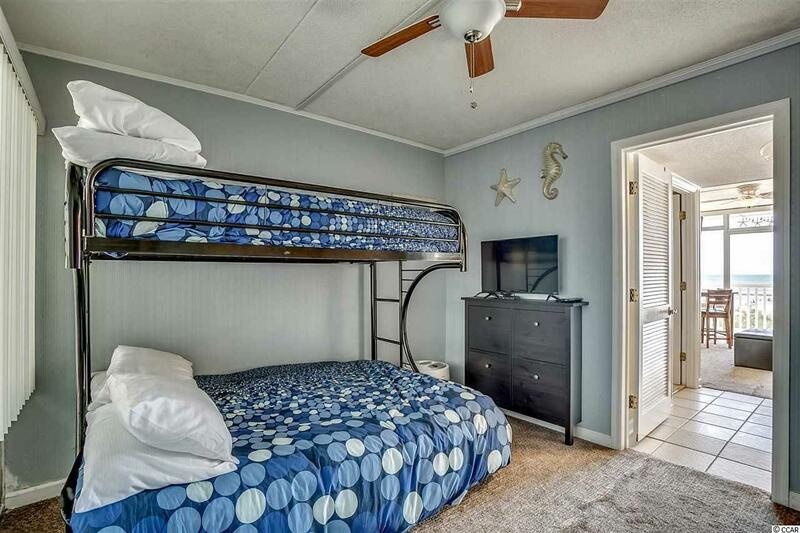 Perfect for a 2nd home, rental investment, or weekend getaway for a couple. 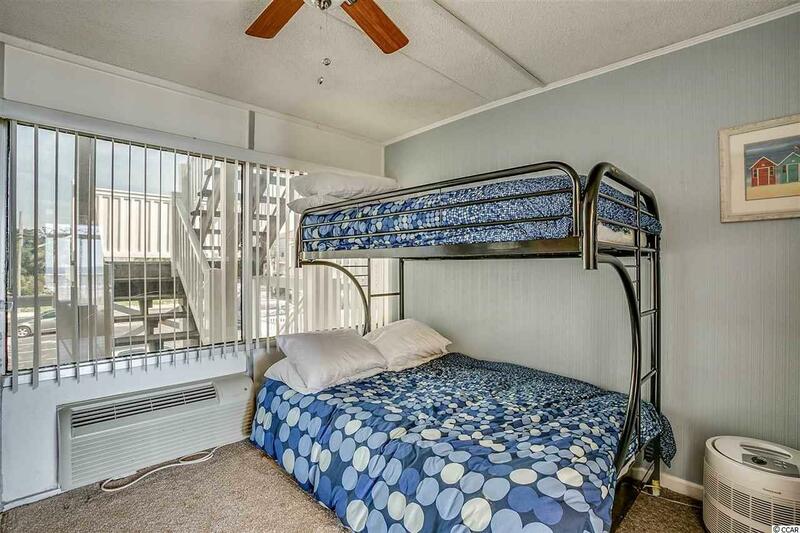 Building includes a community pool and is just a short walk to all the great attractions of Crescent Beach. Call today for a showing ! Kitchen Refrigerator Oven Microwave Stainless Steel Apps.